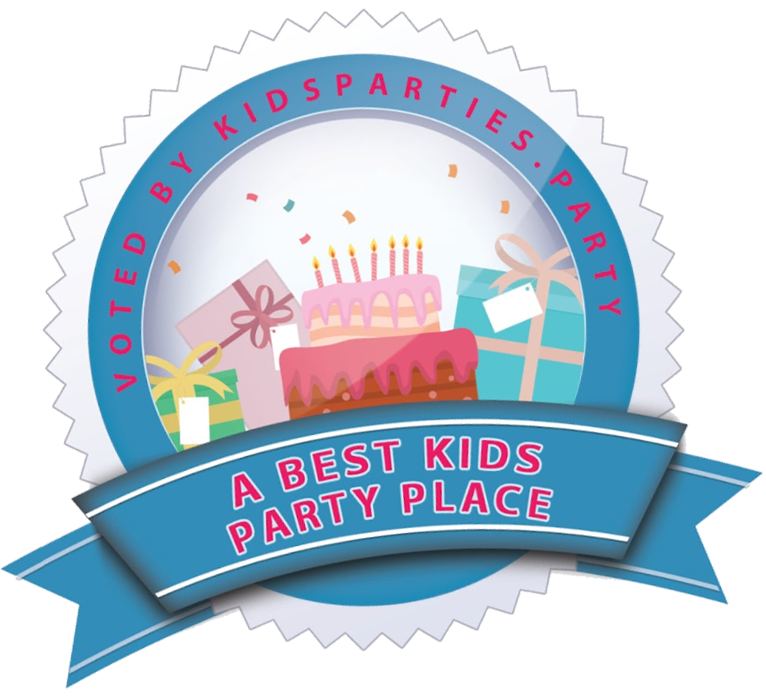 Order up an unforgettable party at KidsTime.Live! Using the spacious facilities at Emilia's Gymnastics, KidsTime.Live! is your NEW party headquarters! Two hours of party time for up to 10 kids where YOU decide how to split the time. An experienced party host supervising activities, games and gym time. Choice of one themed activity (see descriptions of the themes below). Open gym play to complement the time spent on the theme activity. One t-shirt for the guest of honor. Party area table set with festive table cloth and paper products. Invitations and goody bags with gender neutral, age-appropriate items. Dedicated party host in the food area to help with set up, serve and take care of clean-up. You provide the invitations, goody bags, decorations, tableware, food and drinks. Party goers will have fun playing gymnast for the day! Children do not need gymnastics experience to have a great time. 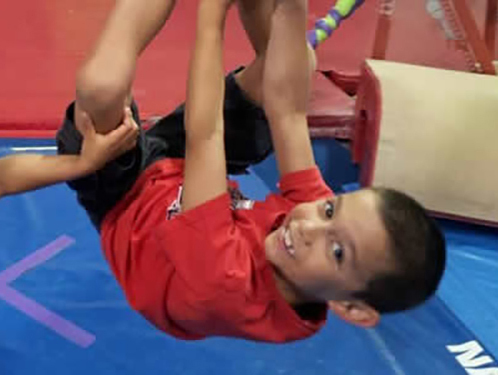 They will enjoy balancing on beams, jumping on trampolines, diving over barrels, swinging on ropes, playing games and navigating obstacle courses. Parachute games, obstacle courses, hula hoop games, castle ball, relays, forts, and more. 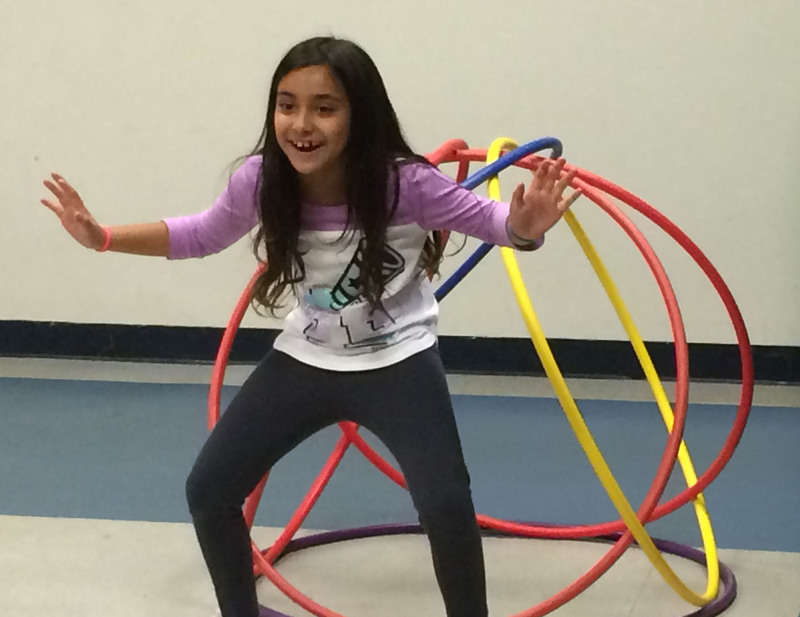 Our energetic instructors have a great time leading children in fun, active games. We'll get the kids engaged and having a great time. Ten challenges using household items. 60 seconds on the clock. All of your pride on the line. Do you have what it takes? You'll find out while participating in games called things like Face the Cookie, The Chandelier, Defy Gravity, Pong Tac Toe, Caddy Stack, Elephant March and more. 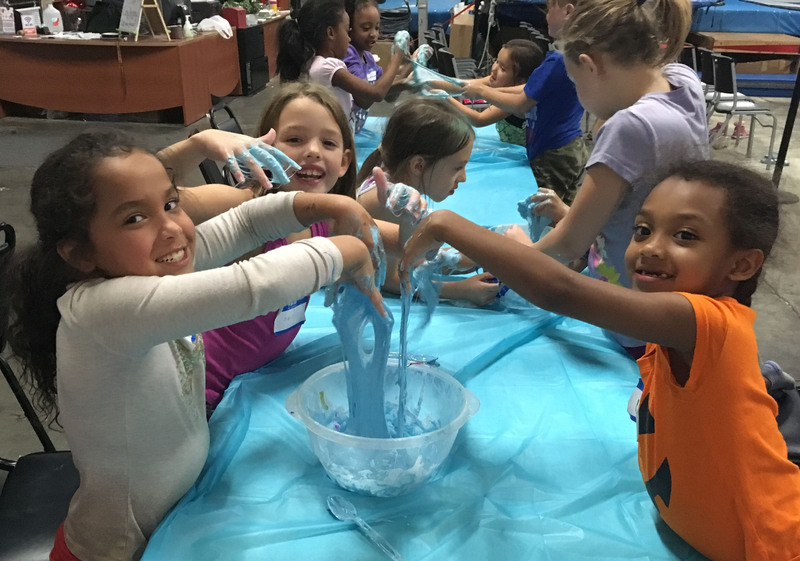 We may not get it, but kids love the ooey gooey goodness of slime! Now you can give them a whole slime themed party with slime decorations. 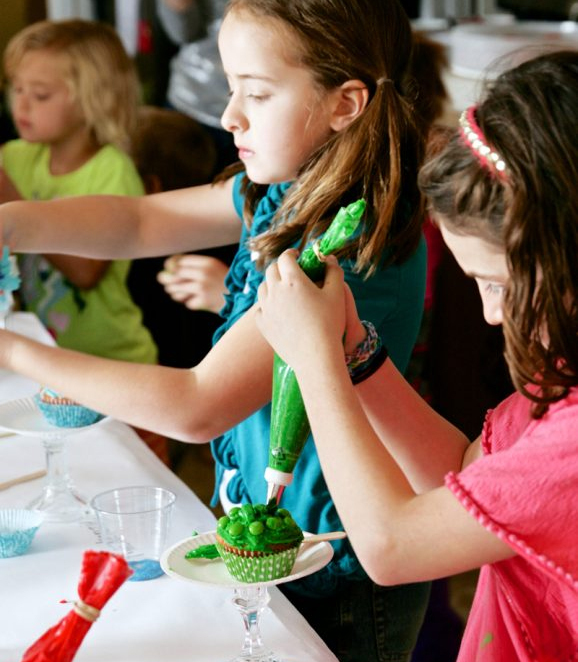 They'll be making their own slime and using the "Slime Bar" where they can personalize their slime with colors, glitter, beads, foam balls and more. Their slime makes a great take home party favor. Your child and their friends will learn how to make some really fun crafts. We'll provide you with a list of unique crafts to choose from so your birthday child can pick what interests them. From DIY ice cream sidewalk chalk to home made fidget spinners, your attendees will have a great time working on their own take home gifts! Don the aprons, belly up to the decorations bar and get your game face on because it's time for Cupcake Wars! The party child's parents provide the baked, non-frosted cupcakes, so the kids can focus on decorating (or you can purchase them from us as an add-on item). Everyone finds it easy to do the decorating, and both boys and girls enjoy cupcake wars as they let their creativity run wild! With so many cupcakes, there is no need for a birthday cake. A test of both crafting AND creativity, party goers will push themselves in this hilarious game challenge. When the clock starts, contestants rush to grab crafting supplies to create the item announced in the surprise theme. Working against the clock, participants race to make their works of art before the timer goes off and the judging starts. Additional children are $10 each. A 15% gratuity is added for all parties of 15 children or more. Additional pizzas are $10 each. Premium theme packages are an additional $50. Cupcakes purchased through us for Cupcake Wars are $25. 30 minutes of additional party time is $30.